Advance full album stream now! 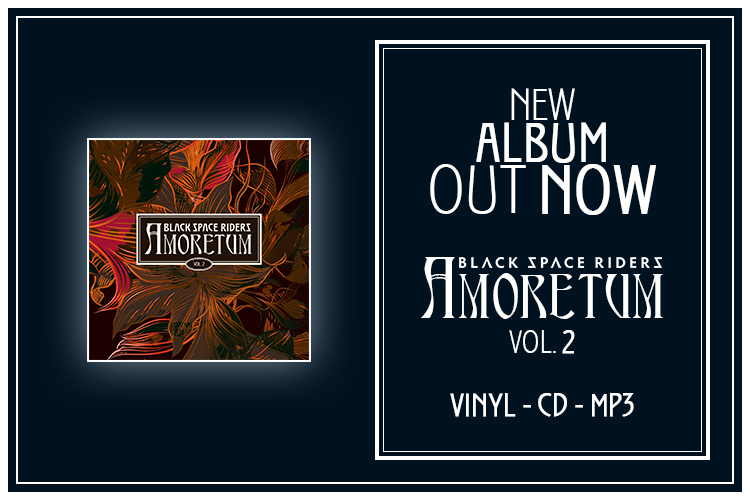 Our new double-album „AMORETUM Vol.2" will be released on this friday, 27th july. Dear everybody! Please welcome "Leaves of life (Falling down)", the second advance song and videosingle from our forthcoming 6th album "AMORETUM Vol.2". Please "look, listen and feel" and if you like it (we hope so!?) .... share it all around the world! Go!Dear everybody! Please welcome "Leaves of life (Falling down)", the second advance song and videosingle from our forthcoming 6th album "AMORETUM Vol.2". Please "look, listen and feel" and if you like it (we hope so!?) .... share it all around the world! Go! The clip was created by our dear friend NORI. Please check out the new clip, the new advance track from our forthcoming double-album "AMORETUM Vol.2" (Out 27th july 2018). Enjoy: VIDEO "LoveLoveLoveLoveLoveLoveLoveLoveLove! (break the pattern of fear)"
Friday the 13th. A lucky day! Please say "welcome" to our new baby, the "BEYOND REFUGEEUM EP", which is officially released today.